After a tree removal – either because the tree died, got sick, or was threatening a nearby structure – the leftover stump can continue to take up space in your backyard. As all organic matter, the stump will eventually degrade and disappear on its own, although this can take decades. If you were hoping to plant a new tree or build anything else in that space, then a quicker solution will be needed. One of the following 5 methods can help, depending on the local legislation and the size of the stump. A quick method of stump removal, building a bonfire on top of the stump will also create the opportunity for a fun family barbecue. However, this should not be attempted in areas with legal restrictions on open fires. Keeping an extinguisher around during the process is not optional. This is one of the most classic methods to get rid of a tree stump, although it only counts as a truly easy method if the stump is small enough. The best way to approach this is by loosening the ground around the stump first, and then chopping off the roots before attempting to remove anything. A mechanical tree stump grinder offers the possibility to get rid of a stump in less than a day. This method, however, requires the use of a lot of equipment and strict safety measures: in addition to renting the grinder itself, you will need a full set of safety gear, including steel-toed boots, as well as a chain saw. Most tree service providers allow you to hire the equipment and manpower to handle this delicate task. This method involves digging holes into the top of the stump and filling them with one a chemical designed to speed up the stump’s degradation process. However, these chemicals can damage nearby plants and pets, so this method is best approached under the supervision of a tree care expert. 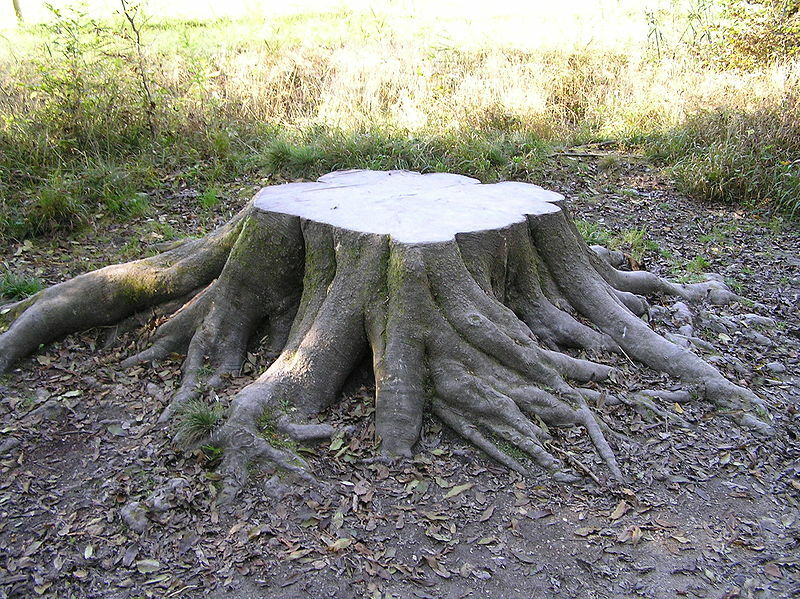 Nowadays, most tree service companies will include the stump as part of a comprehensive tree removal solution. This is often the safest bet for those who have children or pets who may be put at risk by heavy machinery or strong chemicals, as the entire process can be quickly handled and supervised by professionals. Choosing the best way to get rid of an old tree’s stump will have to take into account the area and the presence of any pets or small children. The tree care professionals at Nevada Tree Service will provide you with a free estimate and a thorough assessment.